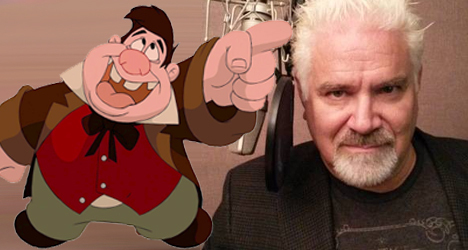 Jesse Corti lent his voice to the character LeFou in the 1991 animated version of Disney's "Beauty and the Beast." It’s been 25 years since the classic animated film “Beauty and the Beast” made it’s theatrical debut. Not surprising, it is still easily one of the most beloved ever released by Disney studios and only one of the three animated films in cinematic history to be nominated for Best Picture at the Academy Awards. In celebration of the release of the 25th Anniversary Edition Blu-ray on Sept. 20, I got the opportunity to interview actor Jesse Corti, the man behind the voice of LeFou in the original film. LeFou is the short, bumbling sidekick of the film’s main villain Gaston. Along with being Gaston’s punching bag, he helps him trick a village mob into infiltrating the Beast’s castle in an attempt to kill him. During our interview, Corti, 61, who is of Venezuelan decent, talked to me about what he remembers most from his time as LeFou and whether or not he is looking forward to the live-action version of “Beauty and the Beast” next year. Why do you think a film like “Beauty and the Beast” has been able to transcend generations so well since debuting at theaters 25 years ago? 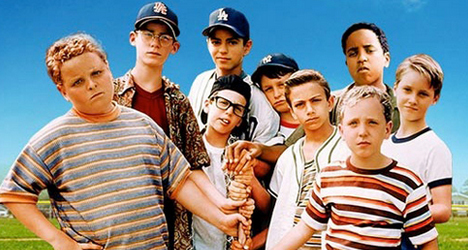 I have a five-year-old daughter and I’ve seen the film countless times in the past three years or so. I think it’s because of the theme it has about inner beauty. What I really enjoy about it is that you have Belle who is an independent person and a person that kind of goes a little bit against society. She reads books and has dreams. But there’s a difference between living a dream and dreaming a dream. She has ideas of what she wants to do with her life. That’s a great example for girls and boys as well. There’s a positive message there for your young daughter who will eventually become a young woman. What do you remember the most about how you got the role to play LeFou 25 years ago? I remember I was doing “Les Misérables” on Broadway. We had just opened. [Disney] was looking to audition people [for “Beauty and the Beast”] who could sing and act. What I remember most is doing the show and going to the auditions at that time. 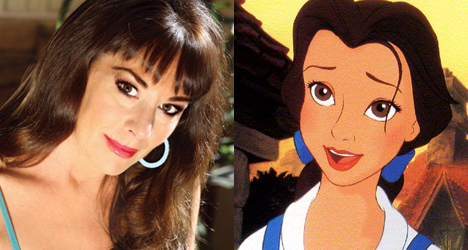 “Beauty and the Beast” was the first voice over work I did for Disney. I was also able to do the voice work for the Spanish version of the film. That was a neat thing for me to do. These days, animated studios aren’t necessarily looking for Broadway stars to lend their voice to their animated movies. They want Hollywood celebrities. Do you wish studios weren’t so reliant on celebrity status and name recognition and would cast actors that fit the role best? Yes, but it’s a market issue. When you have a star, people will sometimes go see a star regardless of what they’re in. Not that many people know Mel Gibson was in “Pocahontas.” It works when you have great actors and great stars who can also sing. Take “Frozen.” You have actors who are stars that can actually sing. Disney bats 1,000 when they get that. In “Beauty and the Beast” we had stars like Angela Lansbury, but we were all Broadway stars, too. That was the beauty of it. Disney started that trend of getting really great people from the stage. That’s why you have all these movies that are going to the stage. You’re getting Broadway to the movies and, now, movies to Broadway. What did you think the first time you saw an image of what LeFou was going to look like back in the early 90s? At the time when I was doing “Les Misérables” on Broadway my hair was very long. I did have a ponytail like LeFou has. I’m short. Well, I’m not as big as Gaston, who is like 6’5. I’m barely 5’7. Originally, the character, at least the way they drew him, was sort of a big doofus kind of guy. I kept that illustration. He was a big doofy guy. I did his voice for them and then asked if I could do something else. They were like, “Yes, whatever you wan to do!” You try to come close to a voice that matches the character they’ve illustrated. I always lose count how many times Gaston hits LeFou in the movie. Do you know how many times he gets hit? I’ve never kept count, but it has to be something like 30 times. He gets kicked, hit and whacked a lot when he’s in the castle. I do remember recording him scream. We don’t see this in the movie, but how do you think LeFou would’ve reacted to the news of Gaston’s death? Oh, boy. I think LeFou would be very sad because he loves Gaston with all his heart. Gaston gives him a reason to live. He’s with the most popular, strongest, most handsome person. Because of that, he has a little bit of power throughout the village. 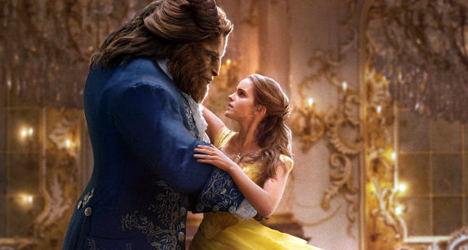 Next year, we’re going to get a live-action version of “Beauty and the Beast.” We’ve seen this before, of course, with “Cinderella” and “Maleficent.” How do you feel about these classic films getting re-imagined in this way? I think it’s great. I love those movies you just mentioned. I have really enjoyed them. I think it’s a neat way for a younger audience to see it. I think LeFou looks the least human of all the humans in “Beauty and the Beast.” But I like that they’re going to do a live version. Why not? If they do it well, hooray! The trailer looks awesome. I think it’s going to be very, very successful. It only helps “Beauty and the Beast,” the animated film. Josh Gad is going to be playing LeFou in the live-action version. What do you hope to see from the new LeFou? Josh is such a wonderful performer and a funny guy. I’ve never seen him do anything bad. I remember when I first saw him on stage in [The 25th Annual Putnam County] Spelling Bee. He was wonderful. I think he’s going to be great as LeFou. I can’t wait to see it. Everyone brings their own style. I brought my own thing to LeFou and he’ll bring his own to the live-action. So, I can’t want to see it. And if he’s not good, I’m going to let him know about it!